Simon Says Stamp – World Cardmaking Day Blog Hop! Hello and welcome! 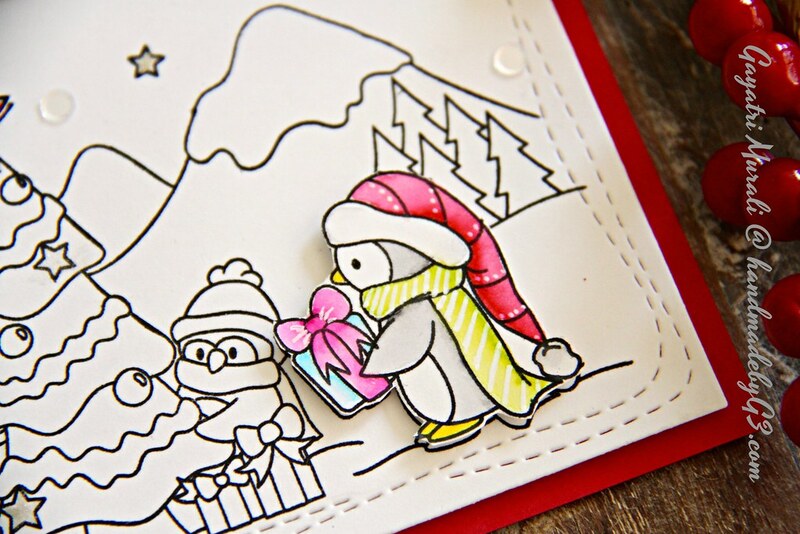 Happy World Cardmaking day! I am joining Simon Says Stamp in celebrating our World Cardmaking Day today. Here is my card for the celebration. 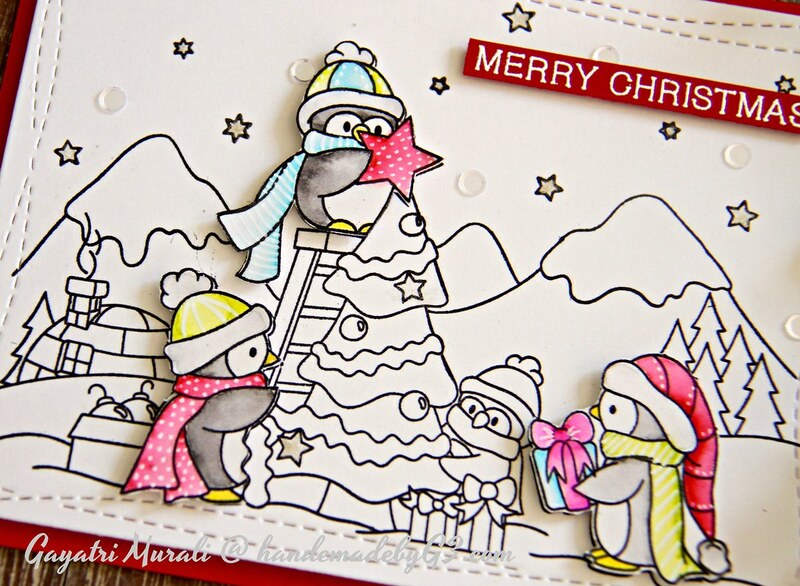 I have used An Arctic Christmas stamp set to make my card. 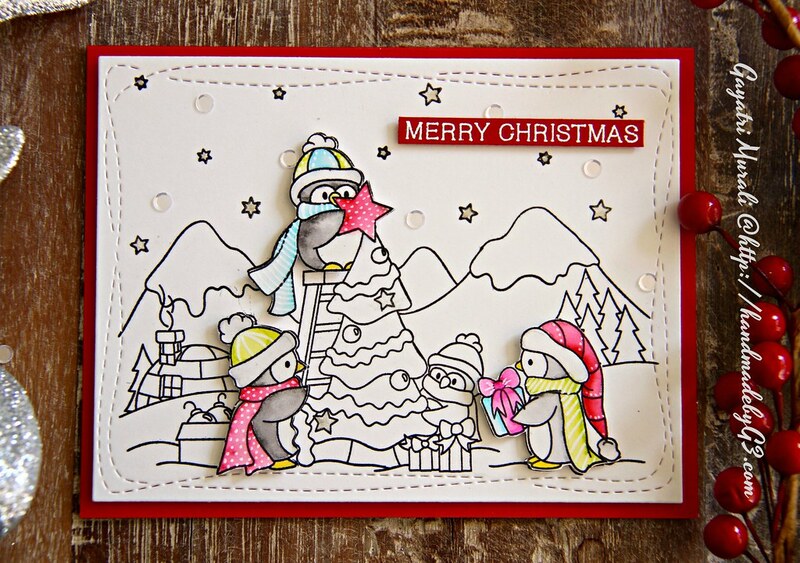 I kept most of the scene in black and white and highlight just three penguins by stamping and watercolouring them, cutting them out and adhering using foam adhesives. Then panel is die cut using Wonky Stitched Rectangle die and the sentiment is white heat embossed on red cardstock. The completed panel is adhered on to the red card base. There are 19 other designers from other parts of the world celebrating WCMD at Simon Says Stamp Blog. Check out everyone’s card and make sure you leave some love. Simon Says Stamp Blog has details on a giveaway. Make sure you drop by the blog and read the details on how to enter the give away. Oh my goodness Gayatri, how clever of you to think of this! WHAT an adorable card. 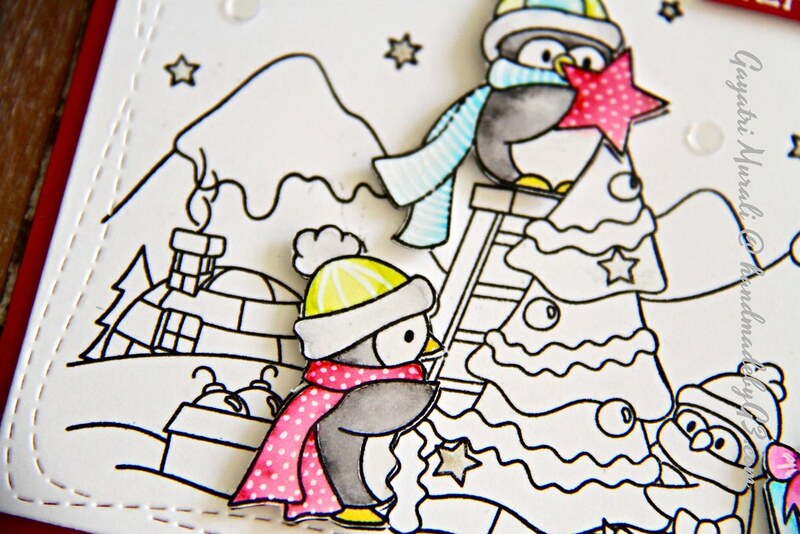 I love the coloured in penguins against the b/w. Very nicely done! Great Hop! Great card! I especially love your pops of color!